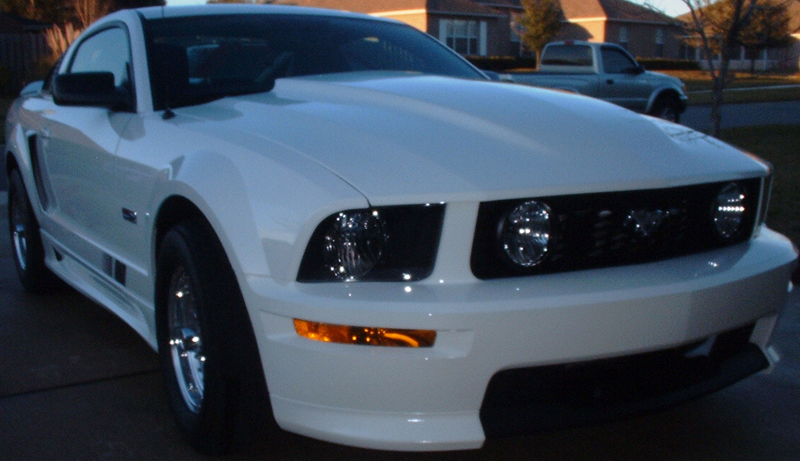 Anderson Ford Motorsport is the company you should call if you need 2005-2009 Mustang GT parts in Clinton, Illinois. We pride ourselves on providing the highest quality products and services to a growing number of customers across the state and beyond. See what we have in stock for you. All Mustang GTs are special, and they come in a number of limited edition and modification packages. A range of companies has built their own version of a specific GT model to deliver improved performance, handling, and power. They used styling enhancements and specialized, recalibrated, or revised parts to make their creations stand out. Anderson Ford Motorsport is no different. We offer and use the best components to build or modify your Stang according to your needs and preferences. Whether you want to do the upgrade yourself or you need professional help, we have the items and expertise to make your dream come true. No matter which GT you have, Anderson Ford Motorsport has the parts you need to improve performance. We don't just sell parts, we develop them in house, filling gaps we find during testing. We offer our own camshafts for the '05-09's three valve engine with a range of profiles to suit a variety of needs and Stage I and Stage II performance packages for easy bolt-on performance along with a wide range of parts from other manufacturers. Whether you're looking to dominate on the track or look good at the show, we can help you build the Mustang of your dreams. Above is a list of the 05-09 Mustang GT parts we offer. Narrow down your options by clicking on a particular category. We have parts for your air systems, brake kits, cooling systems – you name it. We also provide links to pages dedicated to other Stang models. Go find the items you need and let us know if you have any questions or concerns by calling 888-715-6487. 2005 was a big year for the Mustang. For the first time in the model's history, it changed manufacturing locations, going from the Dearborn Production center of the River Rouge Complex to the Red Rock facility, where the car would benefit from a fully modernized assembly line. The Mustang also moved to a new platform, the S-197, based on the DEW98 platform used for the Lincoln LS, Jaguar S-Type and the Ford Thunderbird. Several components are shared between the two platforms, although the S-197, also called the D2C, uses a different suspension system, ditching the four-wheel double wishbone setup for reverse "L"-shaped lower control arms and struts up front and a solid rear axle rear mounted to a three link rear suspension with a Panhard rod in the back. Ford decided to go this route to keep costs in check while also meeting the demands of the drag racing community. Even the Cobra, which had used an independent rear suspension in previous years, switched over to a solid axle. Despite the old tech approach, the cars had no problem keeping up with their competitors. The V8 is still the 4.6 liter used since '96, but it now had variable camshaft timing and the three valve per cylinder single cam heads used in Ford's trucks. This brought power up to 300 hp and 320 ft-lbs. of torque. All GTs came with a limited slip differential that uses the same clutch package found in some earlier Cobras. Buyers had their choice of the Tremec TR-3650 6 speed manual or the 5R55S 5 speed automatic. Brakes increased in size all around with the front calipers getting two pistons, and ABS became standard. During its production, the GT was offered in several special editions, and not all of them were just appearance packages. The Bullitt was built in honor of the Steve McQueen film. Aside from styling enhancements, it also got a recalibrated ECU, cold air intake, and revised exhaust, bringing power up to 315 hp and 325 ft-lbs. of torque. Shelby also built a GT-H version of the Mustang GT for Hertz, recalling the '68 GT350H "Rent-A-Racer." Like the Bullitt, it used a different air intake, exhaust and ECU calibration to increase performance, resulting in 319 hp and 330 ft-lbs. of torque. The car was sold to the general public as the Shelby GT. Other special editions like the California GT and 45th anniversary had the same running gear as a stock Mustang.